I often get asked how I make yogurt. Or even more often I simply insist people give it a go because it is so very satisfyingly easy, cost efficient and quite frankly plain old delicious. It takes less than 15 minutes of work, none of which is difficult, and once you get it down you can keep your family in yogurt bliss for the rest of your life. Think of it, one gallon of organic yogurt for six dollars (or whatever you can find for a good price for organic milk). That is tremendous considering a quart is usually a comparable price. You must start with raw or pasteurized milk. Not ultra pasteurized, it doesn’t have the live cultures necessary to complete this science experiment. Pour you milk into a large enough pot and heat her up until 180 degrees. Hold it there for a minute, letting it hover between 180F and 185F. In your sink have a prepared ice bath that will fit your kettle of milk but not be too deep to allow water to spill over into your steamy concoction. 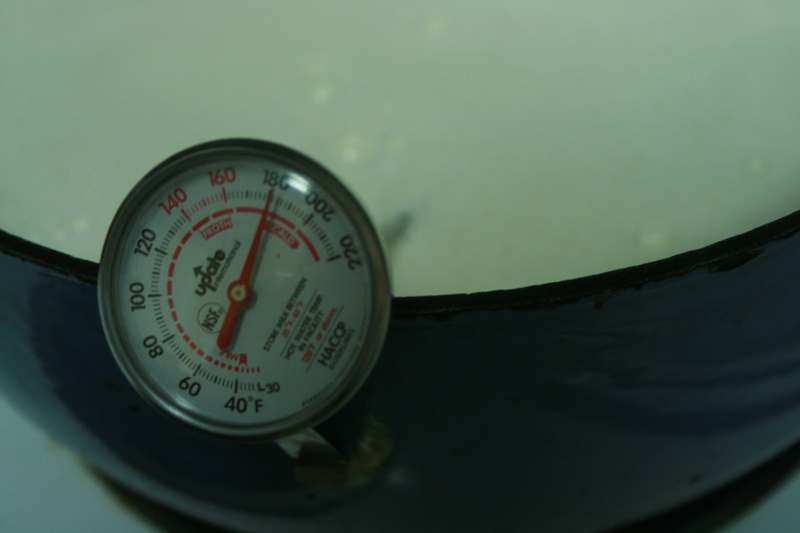 Once you have heated your milk place it in your chilly bath and wait until it cools to 118F. At this point whisk in one small container of yogurt (or a cup of your past batch… I have found the consistency to be good up to four times then it seems to get to liquidy). I have gotten really nice results with this starter. Whisk gently for one minute than quick quick pour into large mason jars, or whatever size you would like. I usually do a few tiny for quick snacks on the way out the door and one large for home use. Tighten the lids and place in an oven wrapped in a towel with just the pilot light on. On really cold days or nights I turn it on for only a minute or so to heat it up and then right away turn it off. DO NOT FORGET! I almost did once and singed a towel. Very scary. The best results are when the temperature hovers around one hundred for a good 12 hours. But if time is of the essence, it can be done in as soon as five, it will just be less tangy. Remember to place in your refrigerator until good and chilled before spooning into bowls, coating with granola, and drizzling good, delicious, local honey. This is not just for taste purposes, the yogurt separates if scooped to soon. 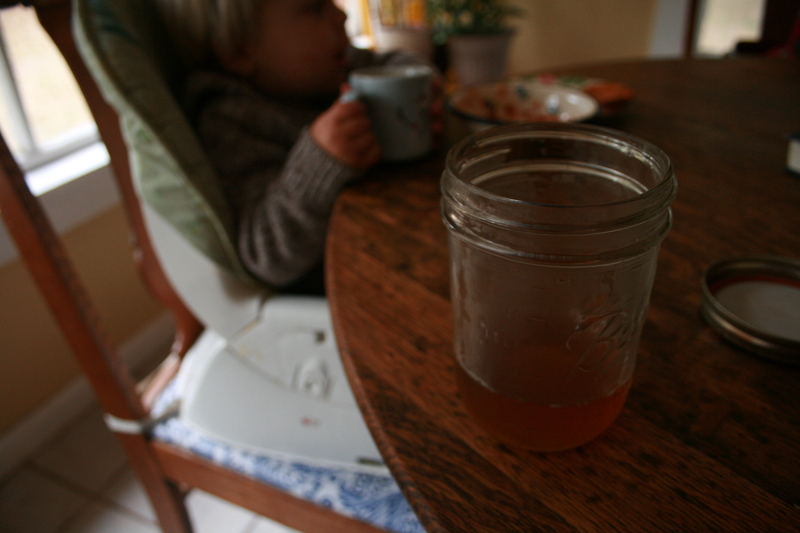 Enjoying some “yo yo” and “bucha” also known as kombucha… another lovely fermentation project. 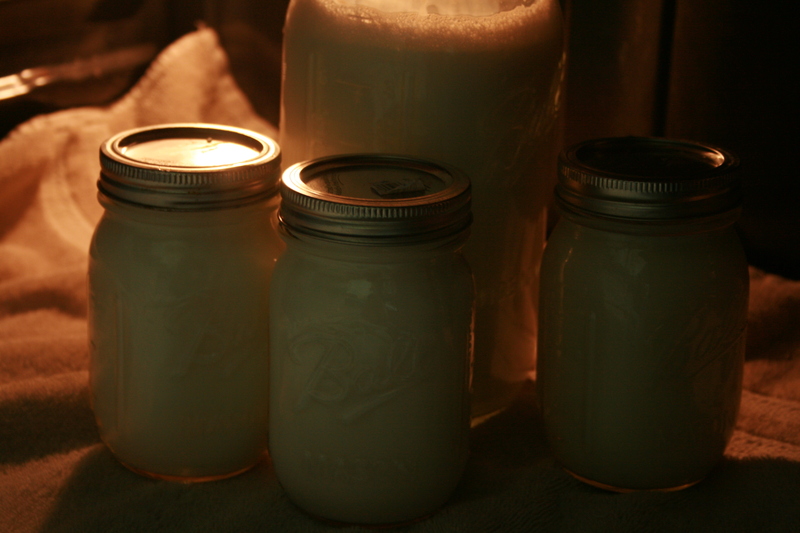 This entry was posted in food and tagged fermentation, how to make yogurt, yogurt instructions. Bookmark the permalink. 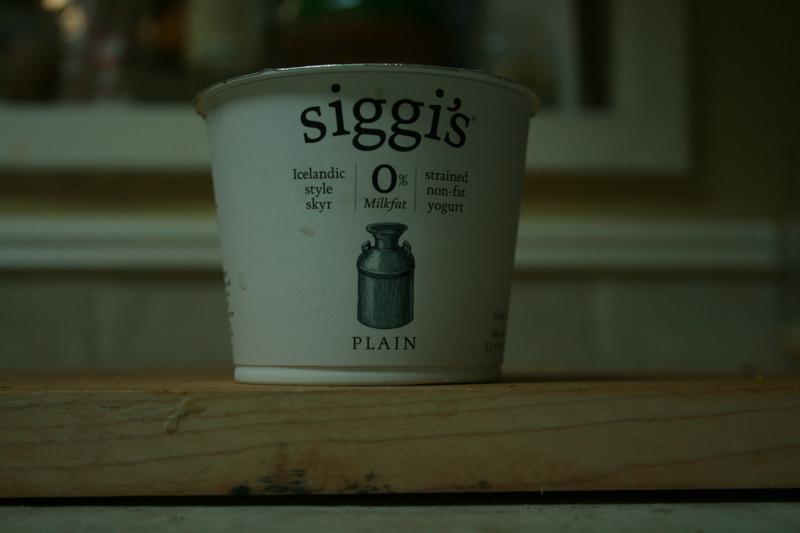 Okay, you definitely got me on board with doing my own yogurt finally. I have friends who do it in the crockpot and rave about how easy it is, but something was keeping me from trying it. Now that I know how easy it really is- even without a crockpot, I’m definitely doing it. Can’t really believe I’ve waited this long, but you totally just awakened my inner-yogurt maker! What kind of pot do you use for the ice bath? If I were to use just a large stockpot, would a cast iron dutch oven work? i use a cast iron pot that has an enamel coating i believe and place the entire thing in an ice bath made in the sink. If your stockpot fits in your dutch oven with enough room for some ice around it i say try it! i had a few not so good batches before i discovered the ins and outs of the tools in my kitchen. good luck! I got a yogurt maker for Christmas in a White Elephant Swap. Who knew it was so easy! I do find it very tart though. I’m not sure what to do about that. I’ve never really been a fan of the consistency of yogurt so always mix in granola. That has helped. I will probably always make yogurt now! thats awesome. it is tart, but perhaps if you dont culture it as long it would be a bit less tart?